Devyani Srivastava is a Senior Program Officer in the Police Reforms Program and is in-charge of project activities in South Asia. Previously, she worked with the Institute of Peace and Conflict Studies, an independent think tank based in New Delhi, where her research focused on internal security, extremism and insurgencies. She completed her Master’s Degree in International Relations from University of Warwick (UK) and Bachelors’ degree in Political Science from Hindu College, University of Delhi. She can be reached at devyani@humanrightsinitiative.org. Uladzimir Dzenisevich works on the Police Reforms in East Africa, covering Kenya, Tanzania and Uganda. He holds an MA in European Studies and International Relations from University of Maastricht (The Netherlands), an LL.M. in International Development Law and Human Rights from University of Warwick (UK) and an LL.B. from European Humanities University (Lithuania). He’s been short-named Ula by overall consensus because of an unpronounceable first name. He can be reached at uladzimir@humanrightsinitiative.org. Sangeeta Mukherjee is currently working as admin Assistant in the Police Reform Team, where she is handling all administrative related work of the police team . She has a total work experience of around 11 years. In the past, she had worked in various organisations across varied industry category. Where she had spent almost 9 years out of 11 years in administrative related assignments. Sangeeta is a post graduate in commerce from the University of Lucknow. She had also done Advance Diploma in computer application and a certificate course in Tally. She likes watching movies, gardening and listening old songs. She can be reached at sangeeta@humanrightsinitiative.org. 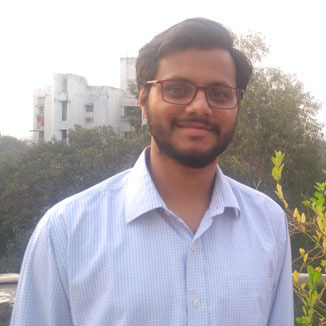 Ankur Otto is working as a Project Officer in the Police Reforms Programme. He is engaged in advocacy and evidence based research in promoting inclusive policing and police accountability in India. He holds a degree in B.Sc Mathematics (H) from St Stephen’s College and has done a Masters in Social Work in Criminology & Justice from Tata Institute of Social Sciences. He has previously assisted the Smile Foundation in fund raising. He is ardent about basketball, Music, travelling and is a big foodie. He can be reached at ankur@humanrightsinitiative.org.